There are lots of great new books to read out this April, each evoking different feelings, whether of anticipation of reading something new by your favourite author, something scary, romantic, thrilling or thought provoking. Whatever kind of books you feel like reading, get in early this month and request one of these best seller new releases from the library! When Dorothy came back from the dead, Aaron noticed that some people simply ignored the fact; some seemed to have forgotten she'd died in the first place; and others just walked straight on by. The accident that killed Dorothy - involving an oak tree, a sun porch and some elusive biscuits - leaves Aaron bereft and the house a wreck. Tallie Jones is happy with life. She's at the top of her career as a hugely successful, renowned movie director, she's in a relationship with a handsome producer and her personal assistant is also her devoted best friend. But Tallie's perfect life comes crumbling down around her when she discovers that her boyfriend's been unfaithful and, worse yet, someone's been stealing from her for years. In this novel, the careers of a golden boy rookie hitter for the Cubs and a hard-hitting Mets pitcher take very different paths. The baseball is thrilling, but it is what happens off the field that makes this story a classic. "No husbands allowed. Only minutes after Abbie Elliot and her three best friends step off of a private helicopter, they enter the most luxurious, sumptuous, sensually pampering hotel they have ever been to. Their lavish presidential suite overlooks Monte Carlo, and they surrender: to the sun and pool, to the sashimi and sake, to the Bruno Paillard champagne. For four days they're free to live someone else's life. As the weekend moves into pulsating discos, high-stakes casinos, and beyond, Abbie is transported to the greatest pleasure and release she has ever known. What happened last night? In the morning's harsh light, Abbie awakens on a yacht, surrounded by police. Something awful has happened--something impossible, unthinkable. Abbie, Winnie, Serena, and Bryah are arrested and accused of the foulest crime imaginable. And now the vacation of a lifetime becomes the fight of a lifetime--for survival. The cliff loomed over her and though her eyes were cast downwards she felt its presence. Even inside the cabin she could feel it, as though the cliff's shadow was so dense it soaked through the wood. Nothing but shadow land, her mother had told Laurel, and claimed there wasn't a gloomier place in the whole Blue Ridge. Edward Warren, twenty-four, has been living in Thailand for five years, a prodigal son who left his family after an irreparable fight with his father, Luke. But he gets a frantic phone call: His dad lies comatose, gravely injured in the same accident that has also injured his younger sister Cara. With her father's chances for recovery dwindling, Cara wants to wait for a miracle. But Edward wants to terminate life support and donate his father's organs. Is he motivated by altruism, or revenge? And to what lengths will his sister go to stop him from making an irrevocable decision? Lone Wolf explores the notion of family, and the love, protection and strength it's meant to offer. But what if the hope that should sustain it, is the very thing that pulls it apart? Another tour de force from Jodi Picoult, Lone Wolf examines the wild and lonely terrain upon which love battles reason. When Mariah Lyons calls upon Dr. Richard Callahan, a world-respected biblical scholar, to show him a letter left to her by her late father, a distinguished professor of ancient history, containing a translation from a 2,000-year-old papyrus scroll, he is astonished by the text, then awestruck when she shows him a dusty clay jar and a fragile fragment of papyrus on which he recognizes the name of Jesus, son of Joseph, of the House of David. Mariah has placed in his hands a fragment of a letter in Christ's own writing, and more than that, a pivotal letter in Christ's life. But the rest of the scroll has vanished, and Mariah is aware that somebody else out there has heard of its existence, and is searching for it. Hoping to find some answers to her questions, she visits her father's his ex-mistress Jennie Griffin, who is in prison for having murdered him. Unrepentant and coming up for a parole hearing, Griffin refuses to help her. Mariah, with Dr. Callahan's help, is drawn into the search for the scroll, the very existence of which might change the world - and for which somebody close to her would kill to possess. Two star-crossed lovers--Enza and Ciro--meet and separate, until, finally, the power of their love changes both of their lives forever. Set during the years preceding and during World War I.
Megan is a suburban soccer mom who once upon a time walked on the wild side. Now she's got two kids, a perfect husband, a picket fence, and a growing sense of dissatisfaction. Ray used to be a talented documentary photographer, but at age forty he finds himself in a dead - end job posing as a paparazzo pandering to celebrity-obsessed rich kids. It is a story within a story, which features both the younger and older gunslinger Roland on his quest to find the Dark Tower. You can find a comprehensive list of new books at the library each month, on the Library catalogue. For further information, read the complete press release listing all contenders for the prize. The regional winners in each of the five regions (Africa, Asia, Canada and Europe, Carribean and the Pacific) will be announced on 22nd May, 2012, and the overall winners will be announced at Hay Festival, Wales, on 8th June. 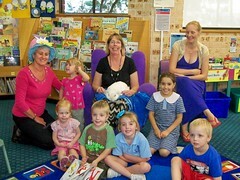 Patting the Bunny, originally uploaded by Sutherland Shire Libraries. The Easter Bunny, originally uploaded by Sutherland Shire Libraries. 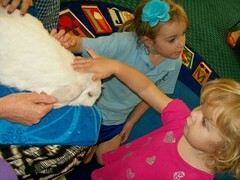 Engadine Library had a special furry visitor during Easter Storytime - Nibbles, the rabbit. The children enjoyed hearing Easter stories, singing songs and meeting Nibbles before making an Easter basket craft. A good afternoon was had by all! 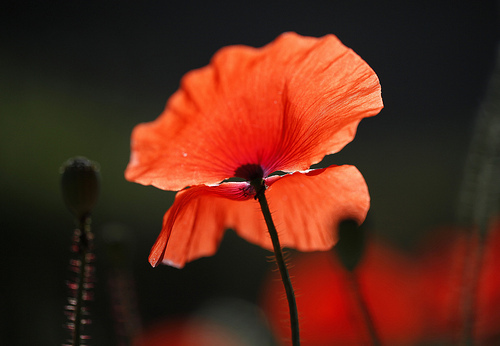 On 25 April 2012, Anzac Day services will be held in cities and towns across Australia. It is the day we remember all Australians who served and died in all wars, conflicts, and peacekeeping operations. The spirit of ANZAC, with its human qualities of courage, mateship, and sacrifice, continues to have meaning and relevance for our sense of national identity. To share in this spirit check out the list below of wonderful picture books which explain beautifully the significance of this important day to primary aged children. 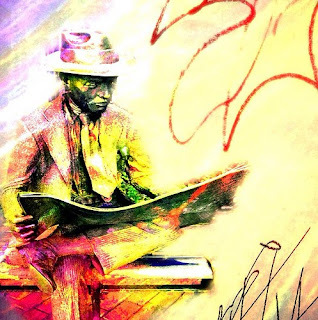 My Grandad marches on Anzac Day by Catriona Hay & Benjamin Johnson. Continue the celebration of the National Year of Reading's April theme of "Feel" this month by reading some feel-good books! If you are feeling down, don't feel like reading anything dark or depressing, and/or just feel like reading something uplifting, upbeat or positive, try one these books. With some old titles and some new titles to read, these books are not all light and fluffy, but they are all books that will make you feel that the world's not such a bad place! The Limpopo Academy of private detection by Alexander McCall Smith. Tell us about your favourite feel-good fiction and non-fiction reads! Photo credit:Flicker user Jinx! 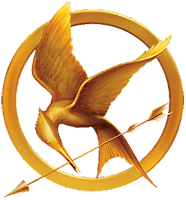 "Day1-Relaxing"
So you have finished the entire Hunger Games trilogy, but now you’re stuck in a post-Hunger Games depression, craving more dark, dystopian young adult fiction. Maybe you’re even feeling a little embarrassed about this new desire. After all, you’re a high-functioning, stable and successful adult with great hair and a casual but cool wardrobe. Is it normal to want to read about angst-y teens fighting oppressive future-governments while making out with each other? The answer is YES and Sutherland Libraries are here to help. Check out these great reads held by Sutherland Libraries. Have you ever felt guilty for starting to read a book...and not finishing it? Have you started a book, then finding it not particularly compelling or enticing, maybe it just wasn't your thing - putting it down (just temporarily of course), and have yet to pick it back up again? Do you feel that you have to finish every book you start, regardless of how much you dread the thought of having to keep reading it? If so, it's time to question this commitment. Life is far to short to finish reading books you are not enjoying, and certainly not long enough to read all those books that you will. So don't waste time on a less than riveting read. This doesn't mean you shouldn't give the book a fair go. Some books can be slow to engage your interest, but given enough pages, will get you hooked. So how much of a book should you read before you return this book to the library and borrow something else to read? A well known American librarian, Nancy Pearl, has given this particular dilemma considerable thought, and created the Rule of 50, suggesting 50 pages is enough, even less if you are over fifty years of age! (If you are feeling curious about how the book ends, you can always just read the last few pages of the story and find out). How do you feel about that? Of course, there are always books which you have to read and finish whether you feel like it or not, those required reads for school, university etc.In this case, try these tips to help you get through these sometimes difficult books. Read one chapter at a time. This way you have time to absorb what you have read and reflect upon it between chapters. Set a time and place to read the chapter. find somewhere quiet where you are comfortable, can concentrate, and won't get interrupted. Set a goal date (you may have one anyway) to finish the book. Make notes. This makes you engage with the book and concentrate on what is happening. Discuss the story with others,who may also be reading this book. Whatever you do, don't give up! You will feel, at the very least, relief that you have finished the book. Who knows, you may even end up feeling that these "required reads" are amongst some of the best books you have ever read. 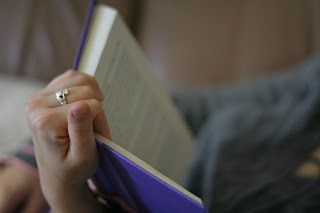 Photo credit: Flickr user Brenda Starr "Book 8"
The month of April has the theme “feel”, meaning that this month is all about emotions and feelings evoked by reading and how you feel about reading. It's the month to read whatever you feel like. The written word in all its forms can be very powerful, causing the reader to feel emotions including love, joy, surprise, anger, fear and sorrow. So read anything and everything, including magazines, newspapers, blog and twitter posts, clues to a crossword, recipes, patterns and of course, books. No matter how you feel, there is a book in the library to suit your mood. Feel like being scared out of your wits? Try reading a horror story that gives you goose bumps. Don’t ever believe it when you are told the book version is not as scary as the movie. With a book, you have your own imagination to contend with. Did you really just catch a glimpse of a shadow flitting across your window? Maybe you feel like an adrenaline rush that makes your heart race. Try reading a fast -paced adventure story, pick up an action packed page turner that you just can’t put down, or try a spine tingling, nail biting, edge of your seat thriller. Do you feel like a challenge? Try an epic saga, or start the first book in a new series. Read a mystery and solve the puzzle of who dunnit. The outcome may surprise or shock you, or you may feel a sense of satisfaction that you picked the culprit before the end of the story. Are you feeling warm and fuzzy? Curl up with a good romance novel that tugs at your heartstrings. Read about a beautiful heroine being swept off her feet by her knight in shining armour, knowing in the back of your mind that despite the fact that the road to true love is never smooth, there will a happy ending. Feel can also refer to the tactile, this being the month to learn new crafts. Read all about book folding or make a book sculpture. Why not learn to knit or find a pattern and crochet some tea cosies. What kind of books do you like to read and how do they make you feel? Tell us on the Library Facebook page! Photo credit: flickr user John Mallon Iphoneography "Enjoying the paper"
We've just been informed that Palmist Rosemary Dawson will be unable to make it to Engadine library today - unfortunately she is unwell. We apologise to anyone who was planning to go along to today's session. The next 'Feel' session will be on Monday, April 16 with free head & neck massages.